The human body is so amazing in all its millions of communications and functions it performs daily in order to keep us alive. The human body is a highly trained organism. It is always adapting. And the human body is also very forgiving. Because the body adapts and is very forgiving, resetting your body is a possibility. If you want to reset your body you will need to have healthy habits. The human body that each person has is a direct result of the habits, the lifestyle, of each person. I fully believe that every person can have a healthy lifestyle. 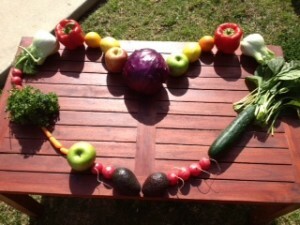 Be honest with yourself and ask yourself: How many vegetables and fruits do I eat every day? How much water do I drink daily? How many ounces of soda do I drink every day? Do you eat processed foods every day? Do you smoke? How many alcoholic drinks do you have on a weekly basis? Natural foods will help you to reset your body. If you eat only foods that are natural, you will reduce the burden to your liver from processed foods. You can also choose to eat foods that are liver cleansing that will make a big difference to resetting your body. Vegetables and fruits are the foods that will be the best to reset your body and to detox your body because of all the phytonutrients in them. Vegetables and fruits are easily broken down by our digestive tract and all the fiber is very helpful to the intestinal tract as well helping to reduce inflammation, keeping blood sugar levels stable and helping to reduce cholesterol and helping to keep waste products moving along and out. Our human body is made to move. Really it is. We actually produce more inflammation by sitting, the longer you sit, the more inflammation your body produces. Make exercise a part of your weekly schedule. Put it in your schedule. Cardio workouts should be 3-5 times a week. Strength training should also be 3-5 times a week. Regular exercise is one of thee best ways to reset your body. It stimulates your metabolism. It helps your liver to be more efficient. It stimulates your intestinal tract. Exercise is very beneficial to your central nervous system, your brain. The positive benefits here, since your brain is in charge of your entire body, are numerous. From blood flow being increased into the brain from exercise. To stimulating biochemical production from exercise, think serotonin and endorphin’s and reduced cortisol. To setting up strong neuro-connections and even new ones when performing new types of exercise, new ways of moving. Regular exercise is great way to challenge your brain. It helps to keep you young. Putting all these elements together will definitely help you to rest your body. If you adopt healthy eating habits and healthy lifestyle habits your body will adapt. You will change your body, the cells, the organs, your brain. Every one of us is a make up of our cells, what nutrients the cells get, and the bio-chemicals our body produces. If you want to loose weight, or you want to un-do years worth of living an unhealthy lifestyle that has you just not thinking clearly, or dragging everyday, then having a plan to reset your body would be your best approach. Please never do this to your body. Fruit is yummy and all fruits have phytonutrients for your body providing positive benefits to your body. But, a fruit detox diet will absolutely not do anything positive in detoxifying your body but instead may cause a few problems. To feed your body just fruit for any number of days is not a healthy thing to do at all. Fruit causes insulin spikes every time you eat it. Which is not what you should do to your body for days in a row. Fruit only will not supply your body with the amount of protein or the fat the body needs to function properly. If you have any lingering bacterial or even a candida issue, this will be the worst thing you can do. When we eat a food that has sugar in it, even fruit with its natural sugar, our body has to respond to the rise in sugar in the body. That response is a release of insulin. This insulin will attach to the glucose, sugar, and carry it across the cell walls bringing it into the cell and shuttling it out of the blood stream. This is because excess sugar in the blood stream, the arteries and veins, is not able to be used by the body, it has to be in the cells to be used. Also, if the glucose level is high often, that sugar will cause damage to the arteries and other parts of the body, (over years). A fruit detox diet that has you eating fruit only for days will keep stimulating an insulin release. Without a separate source of protein or a fat to slow down a rise in blood sugar and insulin response, eating just fruit will demand insulin to be stimulated. Protein or fat doesn’t cause a big release of insulin and this is very important in keeping your blood sugar levels stable and not spiking. By consuming fruit, your blood sugar goes up, as a consequence, your body releases insulin and that insulin drives the sugar into the cells for storage. Foods that get stored mean weight gain. Insulin is a storage hormone. As insulin drives sugar into the cell, it gets stored. Another name for stored calories, stored fuel, is fat. Insulin drives storage and that results in increased fat stores. Insulin contributes to weight gain is that insulin stimulates growth factors. These growth factors have the effect on various tissues of increasing growth, or stimulating cells to divide. All of this becomes very suspect in talking about cancer. It is known that cancer cells divide uncontrollably. Cancer cell are stimulated by growth factors. And, cancer cells feed and thrive off sugars. Even if you only plan on doing a fruit detox diet cleanse for 3 days, why do you want to drive your blood glucose levels and your insulin levels up several times a day for even three days? I can not think of even 1 positive effect from doing a fruit detox diet. For stability of blood sugar and as the best way to loose weight and maintain weight, fruit only as snacks would be more advisable. 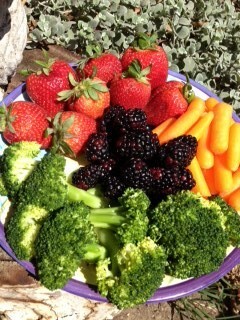 If you are giving your body only fruit you will be helping any bacteria or candida to thrive. If you often have sinus problems it could be a chronic bacterial issue. If you have gas and bloating often or have any suspicion that you have candida, a fungal overgrowth in the large intestines, a fruit detox diet would be a big mistake. Bacteria and candida thrive in body’s that get a lot of sugar, yes even if it’s from fruit. In the lab when they want to promote the growth of a bacteria or fungus, they use sugar as the food source. A fruit detox diet would make these health problems worse. Do You Want a Healthy Eating Plan? This is the best starting place before you choose a cleanse. Once you figure out what your goals are for your time and money spent doing a cleanse you will then be able to decide what the best cleanse for you is. 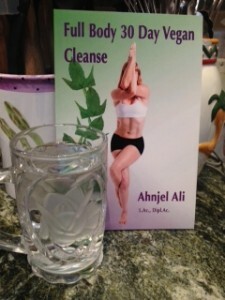 Do you want to do a cleanse that will be a quick in and out process? Do you want to really learn for your future from this cleanse? Do you want this cleanse to bring balance into your life? Have you even thought that there can actually be a cleanse that would be great to share with your family? The best 30 day diet would be one that teaches you how to eat healthfully for life. Not with packaged meals that you have to buy but a program that actually teaches you how you can create healthy meals for yourself and your family. You can actually get and stay healthy eating food. You do not have to starve yourself to be healthy. You just need to know what to eat. If you have a plan that teaches you and that is sustainable, you can be healthy for life! Making choices daily about what to eat is a necessity of our human condition. Since we all have to eat, it comes down to what you are basing your choices on. Are you making conscious choices or are you making unconscious choices? Do you want to feel great everyday or is this something you never think of? Starving yourself won’t teach you how to be healthy and starving yourself is not an enjoyable way to live your life. There are some people living their life on smoothies and protein shakes as their meals on a weekly basis. This is not an enjoyable way to go through life. Food is very enjoyable. You don’t have to surrender the pleasure of food to be healthy. The only way any person consistently eats healthfully is by making a conscious choice-having that moment of deciding to get healthy eating food. Without having that moment and making this decision, it doesn’t happen. It is important to figure out your reason for wanting to eat healthy food. Maybe you always want to be healthy because you love feeling great (this is definitely my priority); or maybe you want to stay at a healthy weight (this is definitely a priority); or maybe you want to ward off the now very prominent chronic diseases that are prevalent in the industrialized societies due to diet (definitely a priority for me) (these are all reason 1A for me). Or maybe you already have some health issues and you want to change your health status. All excellent reasons to pursue a healthy lifestyle. It is a very important step to make the decision to be healthy because without your conscious decision, you will become unhealthy. The food industry is a multi-billion dollar industry, and they do work for those billions. They work harder than most people know. The food manufacturers spend millions of dollars researching what foods, flavors and combinations people want the most. The food industry wants to make foods that people crave and will buy again and again. The big food corporations know that foods that are high in salt, sugar and fats will keep you coming back for more. Not only that, but foods are produced to be the tri-fecta, they are called super-saturated by the industry because these foods are loaded with fat, sugar and salt. These are the foods that many people will buy again and again. Think a double hamburger with double cheese and bacon. Think pizza with cheese in the crust! Does anybody really need more cheese? No one will get healthy eating foods that are loaded with salt, sugar and fats. But they will become very un-healthy. The food corporations don’t care if you get high blood pressure, or diabetes, or a stroke. The food corporations don’t care if you need to see your doctor once a month and end up on 4 prescription medications by the time you are 55 which leads to 8 prescriptions by the time you are 65. The food corporations don’t care if you get cancer. After buying foods that are not contributing in a positive way to your life, you will then be faced with an ugly financial situation. The figures for how much is spent annually for weight loss on diet programs, gym memberships, books, surgeries, and diet pills varies depending on the source, but ranges from $20-60 billion! That is a lot of money every year for something that is mostly preventable. You will not get healthy eating food that is processed. If the bulk of your diet is foods that are from manufacturing companies, you will not be healthy. This is a fact, not an opinion. Can You Get Healthy Eating Food? Yes, it is thee only way to get healthy. You can’t get healthy by starving, since that will lead to death. So, it is a matter of eating foods that provide the nutrients your body needs to be its best. To get healthy eating food all you need to know is the right foods to eat. The human body is truly amazing and yes, it’s very forgiving too. If you change your diet to healthy foods your body will respond. Yes, you really can get healthy eating food. Yes, you can really stay healthy for life! If you really want to change your health for life this is the plan that will show you how. Read on to see the 12 solid reasons that make this the program that can change your life. See why this could literally be your last diet plan. 1) You won’t be starving yourself by limiting yourself to 1000 calories per day. 2) You won’t even be counting calories. 3) The only foods you eat are very healthy foods. 4) When you’ve completed the cleanse, you’ll know how to make the best food choices for yourself and your family. This is the best detox diet plan because of the herbal formulas. 1) You don’t have to spend time thinking about what to make for any of the meals while you are on this Cleanse. This program is your blue-print for 30 days for every meal, and even snacks. 2) This is the best way to learn to be vegan because it shows you how easy it is to be vegan. 3) All of the foods taste great making this a program that is easy to stick to. 4) It is a 30 day plan so that it will have impact into your life and your health. You can not greatly change your health, or your life, in just 14 days. This could literally be your last diet plan because it is the best detox diet plan! It is a complete program that you can live your life on and repeat as often as you want. You would only get healthier every time you did it. This program fulfills every word of “best” “detox” “diet” and “plan”. And that is a result of the 12 solid reasons that make this the program that can change your life. You can sign up for the Full Body Vegan detox diet plan or contact me for a free 15 minute detox diet consultation to learn more about detox diets and find out why I believe this is the best detox diet plan for my clients. I will be happy to discuss your diet and health goals with you.